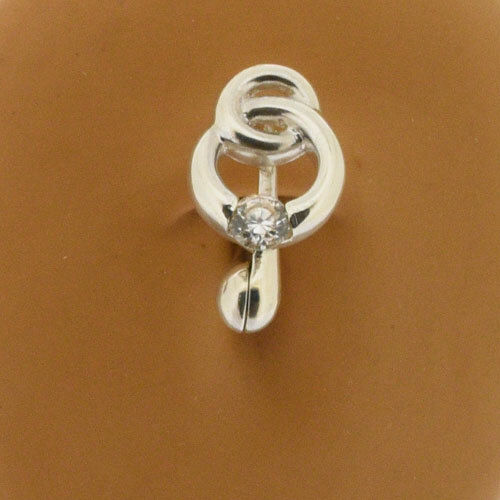 This is a stunning fake belly ring made out of 925 Sterling Silver, it features a large circle set with a clear swarowski crystal which is entwined with a smaller circle. 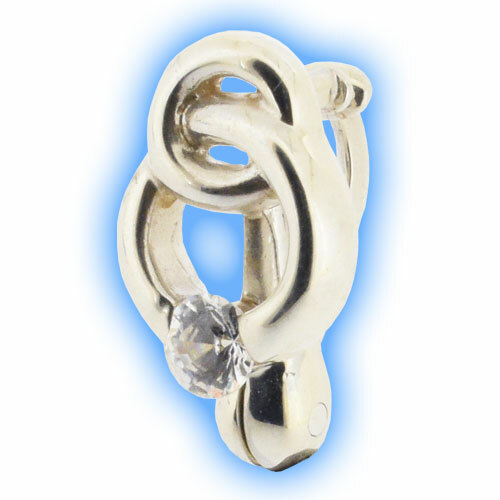 We think that this belly ring represents eternal love. It is so effortlessly stylish with its simplistic effect and is bound to turn heads in any non pierced navels.